If you have a loom that doesn’t have a shedding device, picking up the warp strands for every row you weave can be a tedious process. 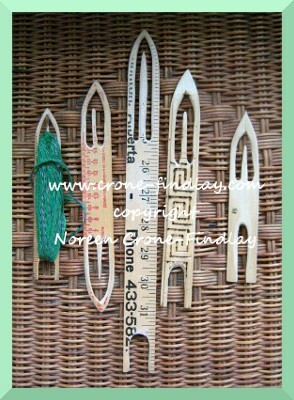 I like to use a stick, a pin and a loop of string to open the sheds. It’s a huge time saver! 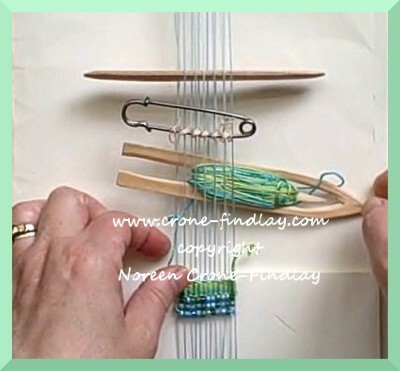 I’ve made a video tutorial on how to do this for narrow bands, but this technique also works on wider pieces, too. 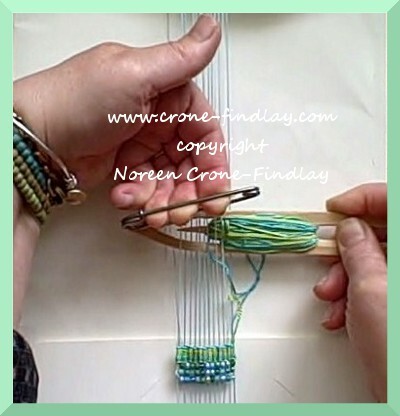 Pick up every other warp strand with a weaving stick (even a popsicle/craft stick or a paint stick will work). Push that stick up to the top of the loom. 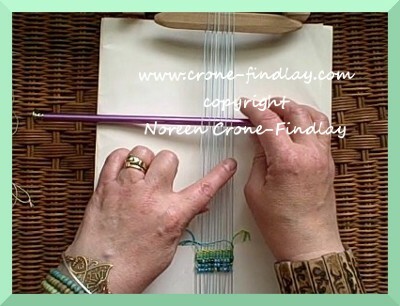 Now, use a knitting needle to pick up the ~remaining~ warp strands, to open the second shed. You’ll be going over the strands that you went under in the first shed, and under the ‘overs’. 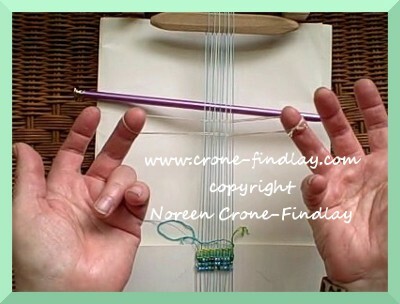 Take a loop of string (in this case, I used 2 string heddles from one of my inkle looms held together for more strength, and to make it easier to see in the video) through the open shed. 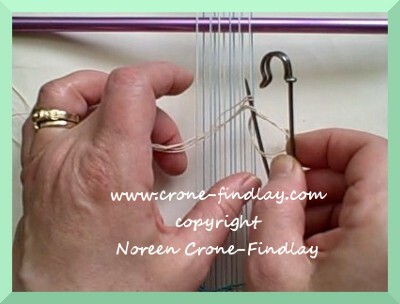 Pick up the end of the loop with a kilt pin, and then lift the loop strings between each warp strand onto the pin. 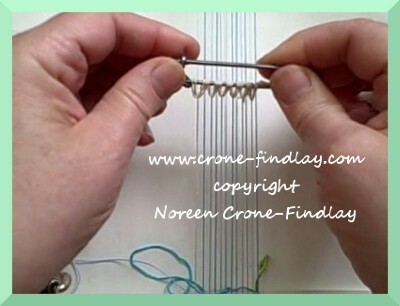 Take the second end of the loop up onto the pin, and close it. Adjust the length of each section of the loop. And, Voila! you now have a handy, dandy way of opening both sheds! 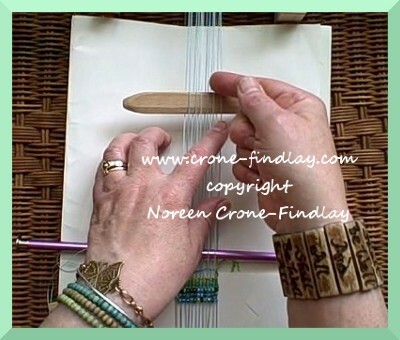 HOT TIP that I mentioned in the video: If you use a file folder as the separator/background thingie between the front and back of your loom, you can use the pocket of the file folder to park your shuttle and beading needle when you’re not weaving.